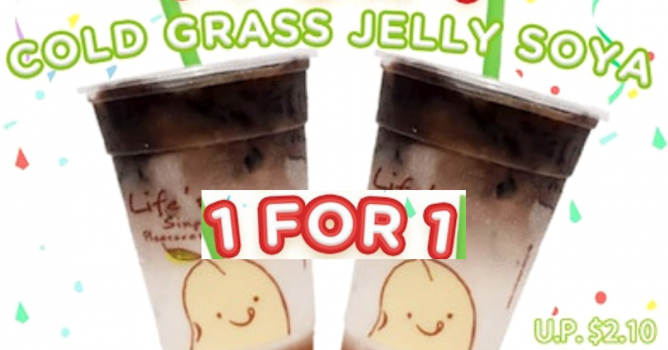 Home > Dining and Gourmet > Beverages > Mr Bean: 1-for-1 Cold Grass Jelly Soya for only $2.10! Limited time only! 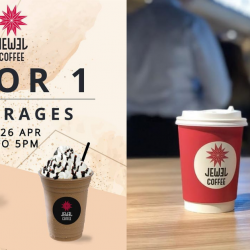 Mr Bean: 1-for-1 Cold Grass Jelly Soya for only $2.10! 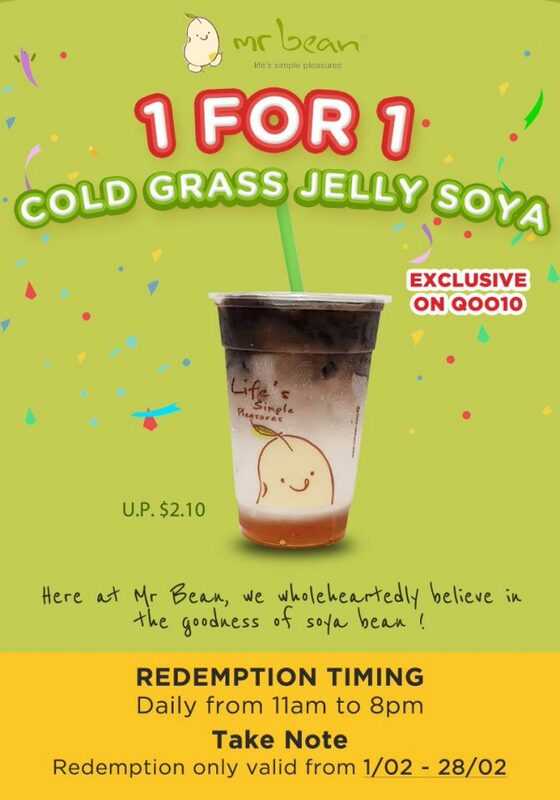 Enjoy 1-for-1 Cold Grass Jelly Soya for only $2.10 at Mr Bean with this Qoo10 deal! Valid for a limited time only, while stocks last. 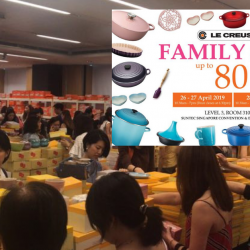 Redemption period is from 1 to 28 Feb 2019 between 11am to 8pm daily. Locations: At 50 participating outlets. 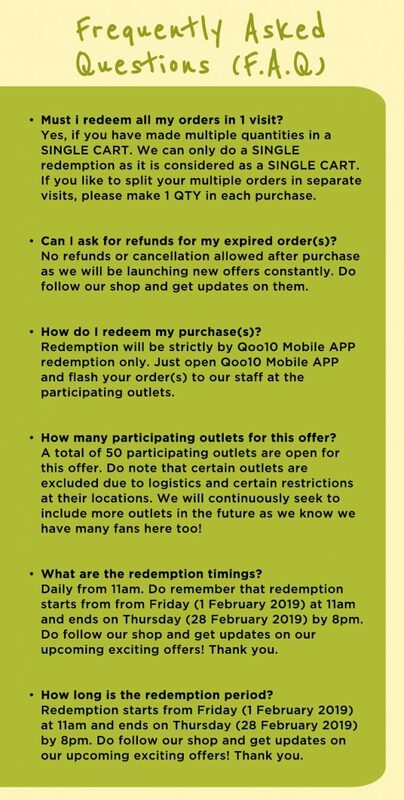 Refer to deal page for list of outlets. 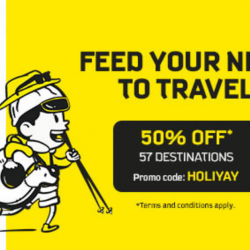 Can be redeemed islandwide at 50 participating Mr Bean outlets (excluding schools, polyclinics & hospitals). Some stores will be closed on 5 Feb and 6 Feb due to CNY celebrations.